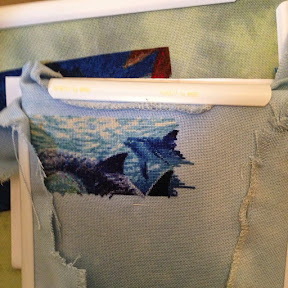 StitchyDonDesigns: Dolphin Page Finish !!! Awesome, you're going really well on this project. Good luck for the row finish! Some Actual Cross Stitching !!! Stitch From Stash May Edition !!! Victorian Motto Sampler Shoppe Giveaway !!! Firework Finish and Dolphin Progress Finally !! !